Detailed information and reviews of Washington teachers, instructors and schools offering music instruction, classes and private lessons. Post your requirements and receive no obligation price estimates and quotes. Ukulele Lessons - I am looking for ukulele lessons I can do over the summer or in the fall for my senior project. Thanks! Suzuki Guitar Lessons On In Issaquah - Looking for a teacher following a suzuki menthod on guitar lessons for a 10 year old. Violin Lessons - I played violin in grade school, now want to continue to make my life worthwhile. 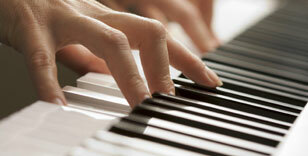 Piano lesson's - I would like a quote for lesson's for my 7 year old granddaughter. Bass clarinet lesson prices - I was looking for how much bass clarinet lessons cost, around the Shoreline/Mountlake terrace areas. Voice Lessons - Looking for voice lessons for my 15 year old daughter. Children's music teacher - I'm looking for guitar instructions for 5-6 yr old.